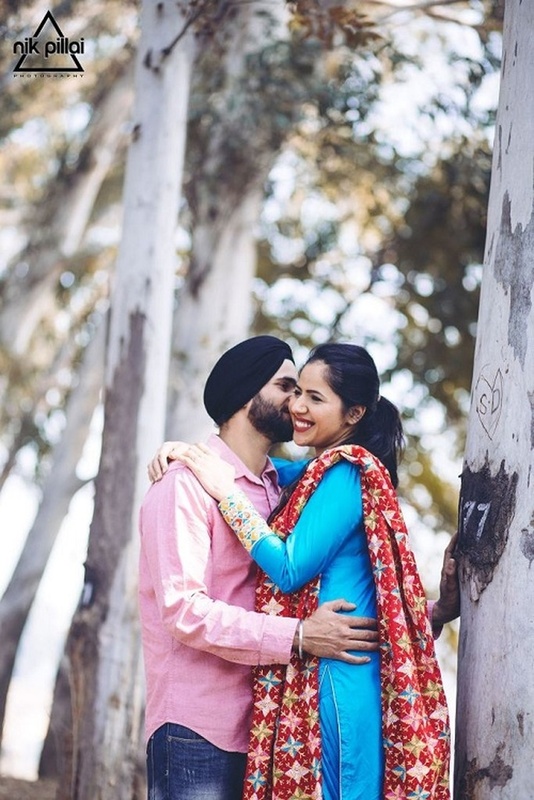 5 Candid Wedding Photographers in Ludhiana Known for Creating Dreamy Wedding Albums! What is a wedding these days without a special moment made memorable with candid photography? While you are busy preparing for the next phase in your life, there are quite a few moments that lead up to the big day. It may be a light moment with your sibling or your mother staring lovingly at your mehendi or may be your father giving instructions to the mithaiwala and stealing a ladoo in between – these are the moments we miss and remember the most post the wedding. Today, we have experienced candid photographers who make sure that not one moment of this special day is missed. We have put together a list of candid wedding photographers in Ludhiana to help make your wedding day more memorable and your wedding album a unique one. Harvarinder Singh, based in BRS Nagar offers candid wedding photography in Ludhiana and can turn your big day into a memorable one with his impressive clicks. This engineer turned wedding photographer captures precious moments of the wedding day which are cherished for a long time to come. If you are looking for a wedding day story, Harvarinder Singh Photography is your go-to group. They also offer complete packages including pre wedding shoot, wedding photography and wedding videos. With over five years of experience, Nik Pillai and his team are one of the most promising candid photographers in Ludhiana, who ensure your wedding album is a mesmerizing keepsake. Specializing in pre wedding and wedding photography, Nik and his team capture the intimate moments that make every couple stand apart. Through their series of photographs, you can re-create your own love tale or weave your wedding story and make it all the more memorable. Our list of candid wedding photographers in Ludhiana is incomplete without mentioning Taranveer Singh Photography. The team captures beautiful images that flawlessly incorporate your story into wedding photography and makes it truly unique. They also undertake destination weddings, so even if you are hosting your wedding at some other city or country all together the team will be there to capture it all. Their package also includes pre wedding shoot and wedding videos, making it a complete one. This passionate team of candid wedding photographers in Ludhiana promise to make your wedding day a memorable affair by capturing all the fun, frolic and colours in their frame. They make sure every special moment of the big day is captured and tell a tale through their pictures. With their friendly and efficient team, you are sure to receive a wedding album that is as unique as your story. Gurmeet Photography brings together traditional and candid wedding photography and seamlessly captures special moments from the big day. Their keen eye on those little moments that you share with your partner and loved ones is beautifully arrested in every frame. Should you have any suggestion on what style your wedding album must depict or if you have a certain design for your album, Gurmeet and his team can customize it as per your specifications and create a fascinating journey of you two.